Our MicroGrid® expanded metal foils protect critical aerospace, medical, and automotive electronics from electromagnetic interference. 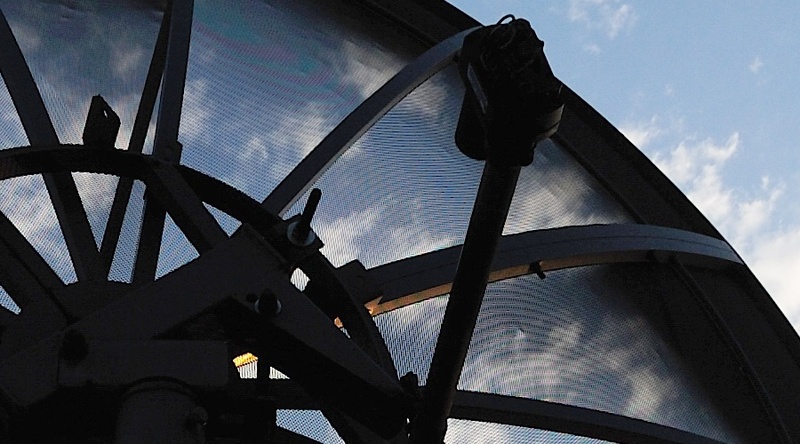 The Dexmet MicroGrid® EM series of expanded metal foils are versatile, effective materials for shielding against electromagnetic interference (EMI). Expanded metal foils are formed from solid metal foil in a proven, economical “slit-and-stretch” process. They are electrically continuous and, unlike knit or woven meshes, exhibit consistent and predictable conductivity. Thin, strong, flexible and lightweight, expanded metal foils will not fray or unravel, and conform readily to complex surfaces, making them well-suited to composite manufacturing processes. Standard configurations include copper, aluminum, nickel and Monel meshes at .002 and .003″ thick (50 and 75µm). Dexmet can readily produce custom types using other metals and foil thicknesses, including Cu and Al types down to .001″ (25µm). The open area of the mesh can be precision-tailored to meet user requirements for weight, resistivity, formability and shielding effectiveness. Dexmet offers a standard line of expanded metal foils for EMI shielding. MicroGrid® EM series of expanded foils are designed to cover most shielding applications, and serve as a "starting point" for custom designs tailored to user requirements. 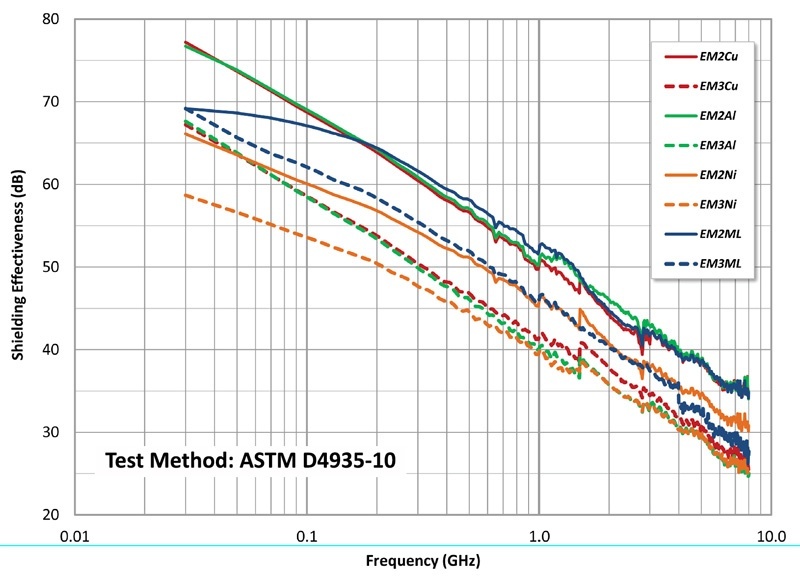 All material is tested using ASTM D4935-10 test standards that yield verifiable and accurate SE values that agree well with theory, with customer-reported results, and with measurements by independent laboratories. Dexmet expanded foils retain the desirable properties of the materials from which they are formed. In the case of metals like copper and aluminum, this includes excellent shielding properties. 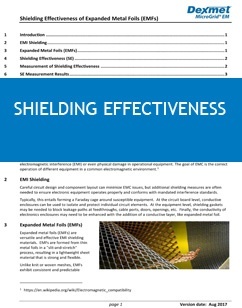 The key measure of merit for EMI shielding materials is “shielding effectiveness”. Shielding effectiveness is a measure of how well a material reduces (attenuates) electromagnetic field strength. These parameters can be controlled during manufacturing to yield meshes custom-tailored for weight, resistivity and shielding effectiveness. Flexible and conformable, they are excellent for components, enclosures and gaskets. Download this valuable white paper on the advantages of expanded foils for shielding applications. Let us help you work through your EMI shielding needs. Contact one of our experts and start the conversation!